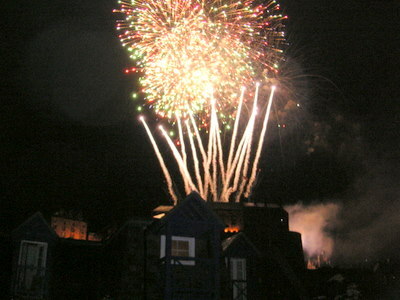 Fireworks displays from Edinburgh Castle can be enjoyed close at hand from 21 Cordiner's Land. Colours fill the night skies and create an absolutely unforgettable experience. Major displays are held on New Year's Eve (Hogmanay); regularly during the Edinburgh Military Tattoo in August; and the major Fireworks Concert (fireworks from the Castle in time with the orchestral concert in Princes Street Gardens) is held to mark the completion of the Edinburgh International Festival, usually at the end of August or start of September.